Husqvarna Motorcycles are pleased to announce the signing of Gautier Paulin to the Rockstar Energy Husqvarna Factory Racing MXGP team where he will compete on Husqvarna’s FC 450 machine throughout the 2017 and 2018 season. The former MXGP series runner-up will enter the 2017 FIM Motocross World Championship alongside teammates Max Nagl and Max Anstie. One of the fastest talents in MXGP today, the 26-year-old Frenchman has a total of eight MX1 and MXGP overall class victories to his credit, with the highlight of his illustrious career coming in 2015 when he placed as runner-up in the MXGP World Championship. Helping Team France secure victory at the 2016 Motocross of Nations at Maggiora, Gautier has been a part of France’s winning MXoN team during the past three years. No stranger to top-level motocross competition Paulin made his FIM Motocross World Championship debut in 2007, before going on to commit to a full GP schedule two years later. Wrapping up his career in MX2 with three GP victories and a strong third overall in the 2009 championship, he then moved up to the premier class for his first full season in 2012. 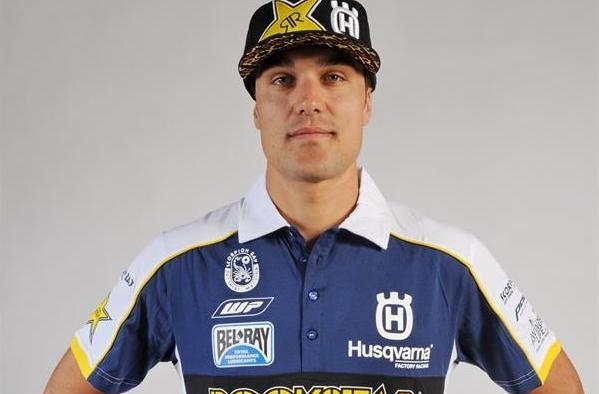 As a welcome addition to the Rockstar Energy Husqvarna Factory Racing squad, Gautier Paulin will join highly experienced MXGP campaigner Max Nagl and 450cc rookie Max Anstie in a hugely promising MXGP team that will continue to be managed by former GP racer Antti Pyrhönen.